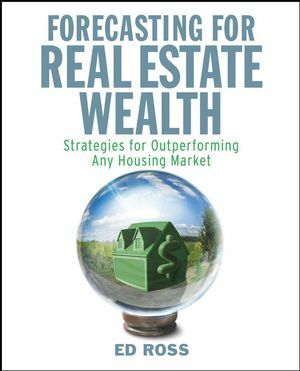 Learn how to identify the bottom of your local real estate market and understand when to buy by using the tools and tips in Forecasting for Real Estate Wealth: Strategies for Outperforming Any Housing Market. Take advantage of the great deals created by falling real estate prices and discover the four questions every real estate investor must ask before buying, selling, or holding any property. With this guide, you can forecast the value of any property in 1 or 5 years, predict which investment property will give you maximum return, and secure low-cost financing. Ed Ross is a leading real estate expert and an investor. He currently serves on five real estate company boards, and shares with thousands each month the strategies and techniques that helped him achieve financial freedom at an early age. He has managed and owned over 200 properties and has custom-built, renovated, and personally rented over 100 houses, apartment buildings, and commercial buildings. He still owns and manages a substantial portfolio consisting of single-family residences, residential rentals, and commercial buildings. Prevent Seller’s Remorse by Using a Forecast. Buying Expensive or Well-Known Is Not Always Better. Buying Local versus Buying Cross-Country. Always Measure Your Cash-on-Cash Return. Exiting Short-Term Investments before Seasonal Change. Using a Short-Term Investment Strategy. Using a Long-Term Passive Cash Flow Investing Strategy. APPENDIXA Metro Forecast 15-Year History by State.